The head of the Main Military Intelligence Directorate of Ukraine's Defense Minister Valery Kondratiuk says there is evidence that there was a gun battle between soldiers of the armed forces of the Russian Federation and Russian border troops of the Federal Security Service (FSB) in the northern part of Russia-occupied Crimea. Kondratiuk reported the incident at a meeting with law-enforcement agencies and the Foreign Ministry of Ukraine on Thursday, a posting on the Ukrainian president's website reads. Head of the State Border Service of Ukraine Viktor Nazarenko said that four Russian unmanned aerial vehicles were spotted from the town of Armiansk on the Ukrainian mainland in the past day. Poroshenko said there are special tasks and demands being put on Ukraine's border guards in areas bordering with Russia-occupied Crimea on the line of demarcation between militants and Ukrainian government troops in Donbas. The president ordered border troops to tighten security at crossing points, and he tasked members of the National Guard of Ukraine and the National Police of Ukraine to beef up security around infrastructure and at strategic sites in order to prevent terrorist attacks. 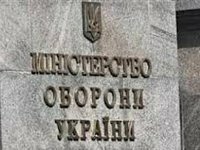 "I ask the Foreign Affairs Ministry and the State Border Service to inform Ukrainian citizens that it is better not to travel to Crimea because of numerous provocations taking place against citizens of Ukraine. I personally ask citizens of Ukraine to abide by my request," Poroshenko said. Poroshenko tasked the head of Ukraine's State Security Service (SBU) Vasyl Hrytsak to conduct an emergency meeting of the anti-terrorism center and to communicate the necessary instructions. Hrytsak in turn said that the SBU agents and equipment have been brought to battle readiness. "There is a meeting taking place now of coordination groups of the anti-terrorism center. We are paying special attention to providing security for critical infrastructure and also are tracking the activities of a number of individuals, who are suspected of involvement in the activities of the so-called diversionary group, in order to prevent possible terrorist acts," he said. Army General Staff chief Viktor Muzhenko said that divisions and military units of the Ukrainian military which are carrying out work in near the administrative border with occupied Crimea have been brought to full battle preparedness and have been reinforced. Muzhenko said it was absurd to say that gunfire on temporarily occupied Crimea came from the Ukrainian side. "This is complete hogwash and does not correspond with reality. No one opened fire with artillery or fired any other kind of weapons. This can be verified by the soldiers on the ground and local inhabitants, because the sound of artillery fire can be heard over long distances," he said.